Start taking classes at Yoga Kai Hawaii and other studios! Guided yoga class on top of an anchored Stand Up Paddle (SUP) yoga board Suitable for all levels of experience in yoga, stand up paddling and swimming Great for ages 9-60 This is an all Levels Stand Up Paddleboard (SUP) Yoga class that takes you on to the crystal waters of the Hawaiian ocean. You’ll wade out into the calm water and anchor down your boards specially designed for yoga and enjoy an introduction to the elementary poses of SUP Yoga with options to uplevel your practice for those who are more familiar with yoga on the mat. Never been on a paddle board? No problem. First time trying yoga? Great. They’ve designed this class especially for those curious about yoga and wanting to dip their toes into the water and are happy to help you find your way around the board and your body as they introduce the fundamentals of this exciting new practice. Waikiki: Ala Moana Beach Park at Magic Island 1201 Ala Moana Blvd Honolulu HI 96814. They meet at the far East side of Ala Moana Beach Park at Magic Island in the grassy area beside the parking lot behind Lifeguard Station 1E. There are no upcoming “Waikiki SUP Yoga” classes on this day. Class check-in time is 15 minutes before class begins, so please arrive at 9:45am. Please wear comfortable yoga or exercise clothes. Slightly form fitting clothes are advised so that the instructor may provide alignment cues and corrections. Sunscreen, sunglasses and a hat are nice to have on hand when it's sunny. You might also like to have a towel and change of clothes for afterwards. Check out our FAQ page --> https://www.yogakaihawaii.com/faq/ Meet us at the Ala Moana Beach Park, right by Magic Island, on the grassy area behind lifeguard station 1E. There's a large parking lot there you can use for free, or just ask your driver to drop you off by the restrooms. 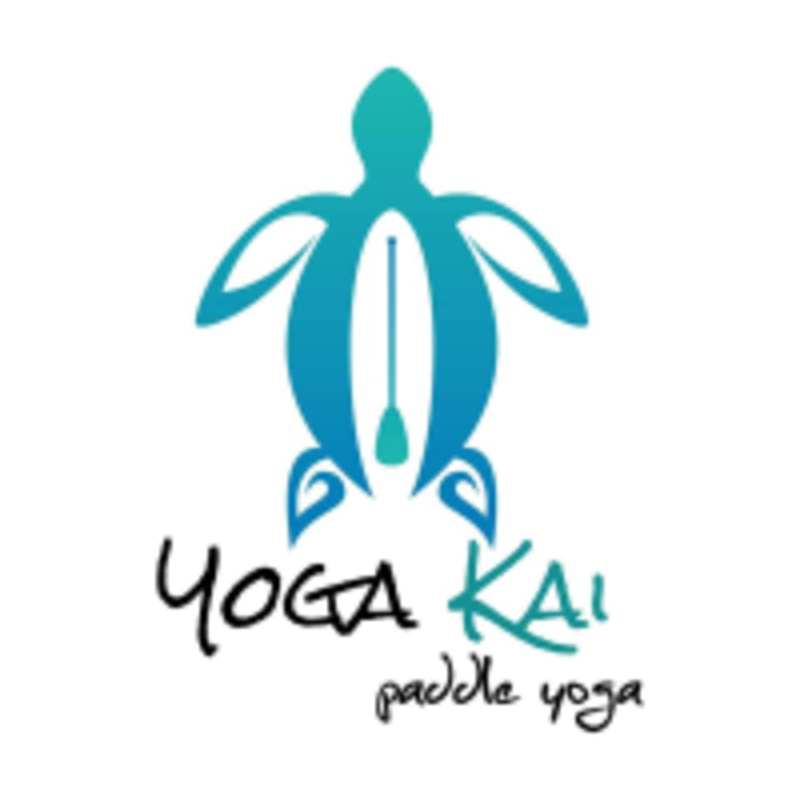 Keep an eye out for our big silver 'Yoga Kai' van and look for your instructor setting our blue boards out between the beach and the parking lot. Our pin on Google Maps may help you find your way as well, and you can always give us a call if you have any questions. Loved Ashleys class! Her class was welcoming &amp; positive, and she gave good, clear directions on flow transitions and hand/feet placements (important for staying steady on the SUP). Plus, practicing yoga on open water was pretty magical Theres nothing quite like doing downward dog and seeing the beach shore behind you. This class was phenomenal!! It was one of the highlights of my trip to Hawaii! Good class even for beginners - lovely being out on the water, helps you be present! Such a special class! And what an amazing deal via ClassPass. So peaceful on the water and incredibly challenging yet approachable. Highly recommend!! Amazing. Best class Ive attended. Great instruction, peaceful environment, friendly &amp; positive owner. I will be recommending this class to everyone! Thank you Yoga Kai for a great experience &amp; I look forward to returning. A must do class!! Julia was an excellent instructor and made it a great practice but also made it fun. Overall it was a light hearted environment where you felt comfortable to laugh at yourself when you fell in yet the flow were challenging. Also, the instructor having a camera was a great touch. Also #2, we saw a sea turtle swim by which was an added bonus. So fun. Its by a free parking lot. Youll see other stand up paddle board classes nearby. Look for the yoga Kai van. You can leave your stuff locked up in there during class. Youll most likely fall in so I wore a bathing suit with a rash guard and shorts. They tell you to wear a hat or sunglasses too. They take photos for you and post them on their fb page. They provide all the equipment needed. Highly recommended. Fantastic class! Must try if youre in Waikiki! Amazing class. If youre doubting it, just book it. A bit hard to find, its not where google map drops the pin, follow the instructions on classpass. Its quite EAST of google.